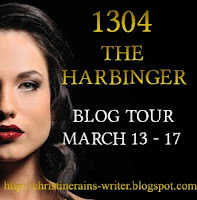 For today's #fridayflash, Christine Rains' Zeus from 1304 - The Harbinger has stopped by to speak with Apenth from my Phoenix trilogy. Apenth couldn't open his eyes wide enough to take in all of Olympus. The splendor rivaled the homes of the Amoran gods. Although he wore pants and a loose-fitting tunic, he felt very out of the times with everyone's more modern clothes. But Cherie sent him over to talk to Zeus, and he obliged her this once. After all, as a god and her muse had to be kind to his writer every so often. He entered the waiting room and saw a young goddess at the reception area. "I have an appointment with the Thunder God, miss." Hebe's gaze raked over the visitor before she shrugged. "Welcome to Olympus. Follow me, please." She led him through winding halls, each more opulent than the last. Not a direct route to the meeting room, and the young goddess didn't seem interested in making conversation along the way either. When they at least came to a set out double doors, Hebe flipped her long hair over her shoulder and opened the doors to a grand throne room. "Father, your eight o'clock appointment is here." Zeus slipped his iPad into a pouch on the side of his throne. Smoothing out his suit jacket, he stood and stepped down from the dais. "Ah, Apenth, isn't it? Can't say you were what I was expecting when this appointment was made for me. I was hoping for some more feminine company. Don't you have some priestess you could have brought along?" "My high priestess is a bit advanced in age, but my writer Cherie wanted to come. I foresaw what might happen, though, and decided to keep her safe from your consort's wrath. After all, mortals don't tend to do well in Olympus." Apenth chuckled and ran his fingers through his golden hair. He knew all about the wrath of consorts. His poor cursed mother reminded him often. "Speaking of mortals, that's why I'm here. I heard you found a true hero in this day and age. Sam Wright's tales have even reached Amorans' ears. However did you find him?" "May I get you any nectar, ambrosia, or coffee?" Hebe offered in a monotone. "No, sweetheart. You can go now." Zeus waved his daughter off, and she disappeared out the rear door. He turned his attention back to Apenth. "Mortals are highly amusing, though. Sometimes they surprise us. Too bad your writer didn't come. Mine, Christine, doesn't come to Olympus unescorted. Where is the trust, eh?" He spread his hands and shrugged his shoulders. "Ah, Sam Wright. Yes. I've no doubt you've heard of him. He's an impressive man. A descendant of Jason of the Argonauts." The Thunder God added, puffing out a bit in the chest. "One of my oracles spouted off something and her assistant sent me a memo. I couldn't pass up the chance to obtain a real hero. You know how these things work, I'm sure." "Mortals have their strange quirks." Apenth shrugged, figuring it was better not to answer where the mortals' trust in the gods--or certain gods--was. His interest piqued when he heard an oracle had told Zeus about Sam Wright. "Real heroes are very rare, especially descendants of heroes. You're lucky the assistant was listening to the oracle. Sometimes secondhand prophecies are more difficult to decipher." "I hear you had some problems with a harpy, though. Were you surprised by her request for a favor?" "The assistant has excellent dictation skills. I'm not worried about any misinterpretations." The Thunder God waved his hand before folding his arms with Apenth's last comment. Zeus was an older god, but he was still broad and muscled. "Perhaps a little surprised." He huffed. "Meira has always been faithful. I had no idea she wanted anything beyond serving me. Well, maybe like all women, she loves her shoes, but those are the little things that make females so endearing, wouldn't you agree?" Apenth decided not to comment on misinterpretations. Even gods made errors when it came to Fate, or so his mother told him often. He chuckled at the mention of shoes and what made females so endearing. "My prophetess's eyes do light up when I send her new clothes. But she claims anything is better than her work ones." He shrugged. "So, without giving away the ending, were you pleased with how the events turned out?" "My night in the hot springs with the triplet nymphs was extremely satisfying." Zeus smirked, tilting his head as he relived some of those memories. He then glanced at his watch. "Oh, but I assume you meant the other situation. Well, I suppose it wasn't a total loss. There were a few details the hero forgot to cement, and they'll work to my advantage later." He motioned to the door. "It was nice to meet you, Apa. Apet. Honored guest. I do have another appointment I really need to get to." "I'm sure everything will work to your advantage." Apenth chuckled at the night with the triplet nymphs. He remembered those days, even though he was still hung up with his first love, Amora. Hypogaia's realm separated them, though. He started to correct him, but figured there was no reason to leave on unfriendly terms. Placing a closed fist over his heart, he bowed. "It was a pleasure. Thank you for speaking with me." "Yes, a pleasure. I'm sure you can find your way out." Zeus gave no bow in return, just a nod of the head. He turned to the rear door and then paused, stroking his beard. "Wait. There was something I was told to mention. Hm. Triplets. Hot springs. Book. Ah yes, The Harbinger. Marvelous story. You need to get yourself a copy. It features me, of course. People should have it for that reason alone." He grinned and exited the room, whistling and loosening his tie as walked out. You heard Zeus. You need to get Christine's newest book! The Marquis is now FREE on Smashwords and Kobo! Excellent! Already have Christine's book. And Zeus has an iPad - but of course. Thank you for hosting me, Cherie! Hehehe! Reading it again, it made me laugh. 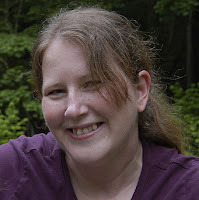 Congratulations on your new release, Christine! Congrats on the release! Conversations between characters are always fun, aren't they? Especially when you can bring in a god or two. Nice piece! Way to go Christine. Gwen, thank you! I think Zeus would've liked it more if Apenth brought a woman along. Hehehe! Larry, we're lucky it was sedate considering Zeus' personality! Nicole, Jaybird, Rachna, thank you very much! This was wonderful. How fun having characters from different books interact. Thanks, Jai! It was a lot of fun. I'm sure his night with the triplet nymphs was very fun indeed. 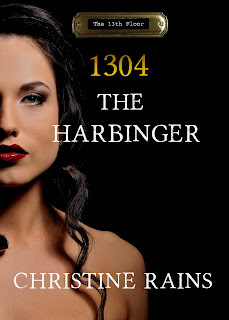 :D I can't wait to start on your series, Christine. I know it's going to be a blast. Mary, thank you! I feel sorry for the triplets if Hera ever finds out! Adriana, thanks! Imagine the fun gods could have with technology. Congrats on your release Christine! That's really cool that Rains has her new book out. Love the series. Christine does keep busy! Another great cover. DMS, thanks! It was a lot of fun. Emilyann, Clarissa, and Tania, thank you! Great piece. I love seeing Christine's serial books and new work. I've been interested in Greek mythology since reading the Percy Jackson books. It is fun to read different things about it and learn even more. Oh, this was fun! I always love it when characters from different books interact like this. I wouldn't want to go to Olympus unescorted, either! Jack, I loved the Percy Jackson books. They were such a fun take on modern day gods.